Me and my husband wanted to do something different this Christmas Eve, so we decided to break away from the traditional big Italian family feast and go off on our own for a romantic dinner just for the two of us. 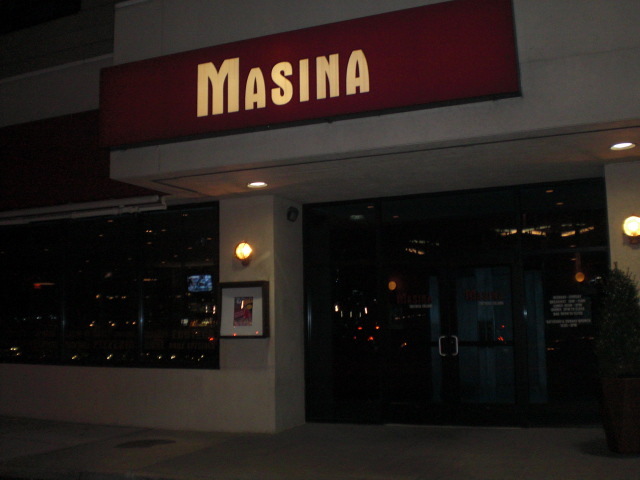 The new “Masina Trattoria” in the Sheraton Hotel in Weehawken, New Jersey was the perfect location. Overlooking the Hudson River with that beautiful New York City Skyline just adds to the whole experience and sweetens the pot of an already fantastic menu of traditional & new Italian dishes. The food overall was a 4 and a 1/2 on a scale from 1 to 5. The do offer outdoor seating for the nicer weather to take advantage of the views. Masina takes it’s name from Giulietta Masina, the loved post-war actress and wife of the celebrated Italian Director Federico Felllini. Executive Chef Peter Ingrasselino has been featured in the New York Times and has made numerous television appearances & has won many culinary awards. Masina does offer gluten free menus that parallel the standard menus, featuring dishes that are either gluten-free as prepared or modified to be gluten-free. Masina is open for breakfast, lunch and dinner everyday and brunch on Sundays, they can accommodate for private parties also. We started off with a Lychee Martini for $12.00 and I will say it was well worth the price, 3 large Lychees were included. Generous helpings of the most delicious bread were brought to our table over and over again to sop up all the delicious sauces that were included with every dish. 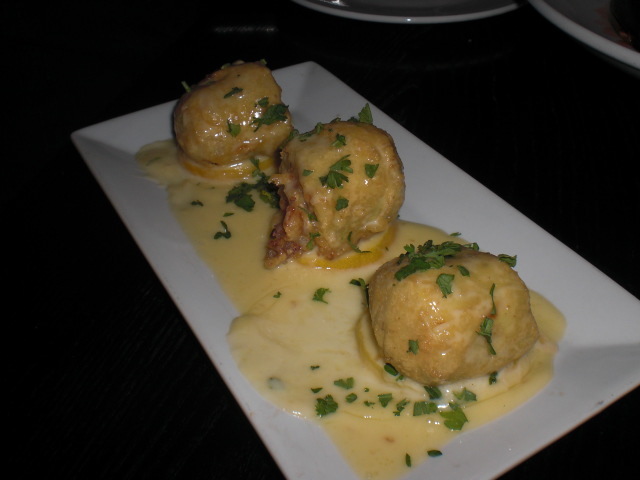 We started with the Stuffed Artichokes – 3 artichoke hearts stuffed with cheese & prosciutto with a lemon cream sauce for $6.00, these were divine I almost ordered another round of these treats. 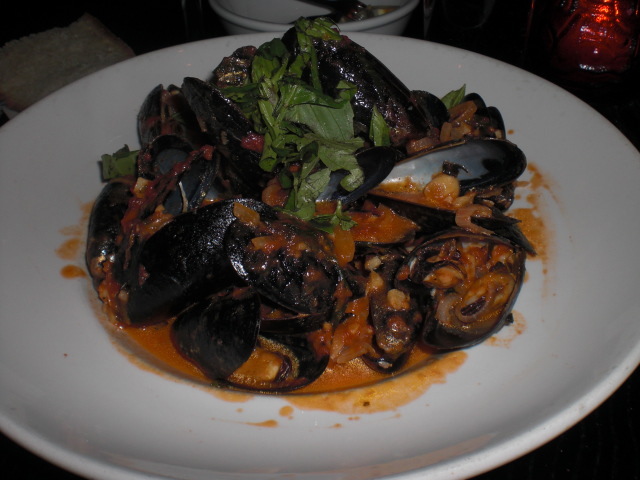 Next we had the Mussels – Served with Pinot Grigio roasted tomato broth for $10.00. For dinner I had the Scarpariello – Chicken with peppers, onion, sausage, potatoes for $16.00, the sauce that accompanied this dish was burgundy like and was full of flavor. My husband had the Orecchiette – Salmon, shallots, pine nuts, tomatoes, fontina sauce for $15.00, which was also amazing. 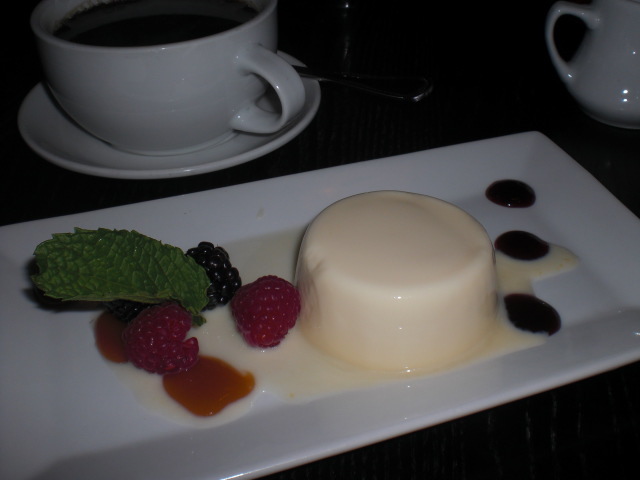 We ended our meal with Panna Cotta – A velvety custard with raspberry & caramel puree for $5.00. As we were dining I was able to catch a glimpse of the Parmesan Crusted Pork Chop for $18.00 and I am already planning my return to try this for next week. You can view their website at www.masinatrattoria.com.